This open, airy cafe-diner-lounge is equipped with a full kitchen, 2 ovens, steam table, microwave, 12 refrigerators, and 8 freezers. Dining area has seating for 20. Lounge seats 26. Push-pull equipped. Built in 1953 by St. Louis Car Company for the U.S. Army as Army hospital car 89553. 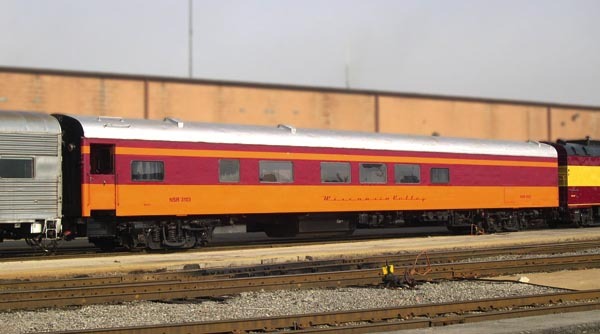 Acquired by Amtrak in 1973 and reconfigured to Le Pub bar-lounge 3403. Rebuilt early 1980s to Heritage lounge 3103. Acquired by the Friends of the 261 in 2001. Interior upgraded in 2002.